Dave signed these comics in black ink on the front cover. 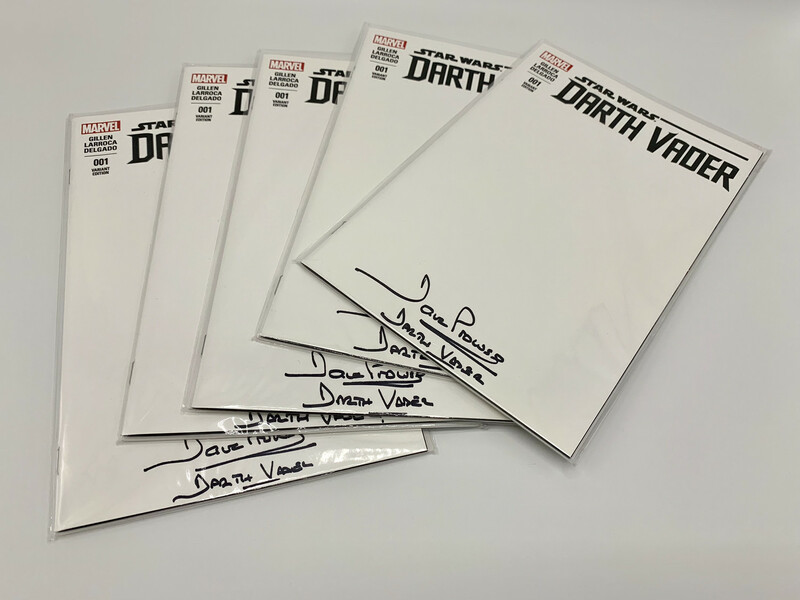 These are issue #1 of the Darth Vader comic and are the rare blank sketch cover variant. Sketch the cover yourself or find an artist to sketch it, or just leave as is. Regular comic cover is under the sketch cover. Dave has now stopped signing, so this is a super rare piece to add to your autograph collection. Please note that we do not grade comics. They were purchased direct from a comic dealer and then handled and signed by Dave, so they may have slight imperfections to corners, surface, signatures, etc, which is all part of the signing process.